Do you have physical ailments that make no sense? 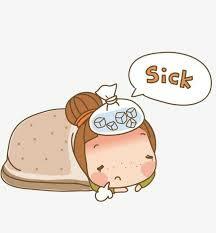 Maybe you constantly get flu symptoms that go on and on; repeated headaches; digestive issues that are unusual; or maybe even recent shifts in your sleep pattern or weight gain or loss. Have you gone to the doctor? I’ll bet they can’t explain why you feel the way you do and end up treating the symptoms. Has this happened to you? As our 3-D planet shifts and morphs into a higher vibration, you will find your body trying harder and harder to keep up. You may also find your emotions out of whack (the clinical term…haha) more than usual, being more and more unhappy, depressed, annoyed, angry…all the heavier vibrational emotions, instead of feeling joy, love, and peace. Some of the odder things that may happen are falling more often, getting fuzzy brained or having inertia. The latter one is where you walk into your house at one point feeling energized and end up sitting like a lump doing nothing but playing computer games or staring at your TV wondering at the end of the evening why you got nothing done. I’ve had all 3 of these weird symptoms, including the falling (ouch!) and having moments of brain fog. How in the world did that sock get into the garbage…or that empty toilet paper roll get into the laundry? Some off these are an inconvenience, some are annoying, and some are downright scary. And we can try harder and harder to stay well emotionally and physically, but it may not work. So what can you do? Anything that raises your vibration is great. Some people find meditation works (you knew I was going to mention that one, right? ); some find other things that make them get into the zen feeling like hiking or gardening. Believe it or not, laughing is a good way to raise your vibration. Try finding really funny movies and see if that makes at least your emotions feel better, and it probably will help your physical body as well. My mom loved watching Laurel and Hardy movies when she was sick. I watched a whole string of Whose Line is It Anyway? at one point. 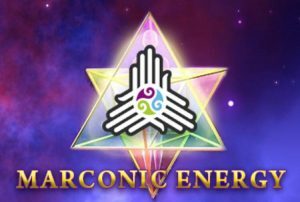 What works best for me is Marconics energy, which is why I became a practitioner. It raises the recipient’s vibration every time they receive a “No Touch” session. When my clients leave the session, their life starts shifting. It is exciting to watch and Marconics, at this point at least, seems to be a very well-kept secret…unfortunately. But you don’t have to have a Marconics session to shift. Try laughing or meditating or whatever is the opposite of what you feel like doing right now. And don’t dwell on fear or worry that something is wrong with you. That generally only makes you feel worse. So, give yourself a holiday from worrying about how you feel; follow your doctor’s suggestions if it seems right to you; and do something or numerous things that will help you raise your vibration so you can feel healthier and have more love, joy and peace in your life. Trust your instinct. You’ve got this!